I will cut pretty quickly to the racing, though I’m sure you would love to read about my trip squashed up in the back of the Barclay mobile with Tobias’ sharp elbows digging into me. Whistle sounds, off we go. I knew the course was going to be technical, so I kept within the first five riders. After lap 1 it was clear how technical the course was and how important it was going to be to stay at the head of the race. There was a group of 10 or so of us, mainly Brits, setting a fair pace through the sweeping corners and sketchy cobbled sections. I was putting in a couple of digs but nothing was sticking in the early laps. However, it was depleting the bunch. It was now down from the original 80 to almost half at 45. Bang! Two riders down, Tom and I swerved either side to avoid it. The pace picked up at the front and it was head down to close the gap. This surge in pace whittled the bunch down even more, within half a lap of the crash. Then I heard the thing every cyclist dreads, Hiss, 2 miles from any support. (There was no neutral service). The front wheel getting softer and softer with every corner turned. All air gone now, right on the rim, luckily getting close to support. However, I couldn’t find anyone to help. After a couple of minutes waving my wheel around, one of the English dads came to help with a front wheel. By this time, I was a good 5 minutes down. 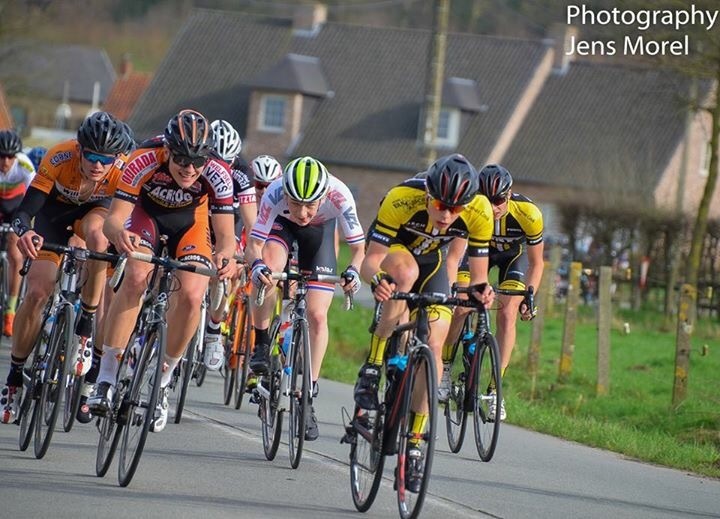 The race was gone but I was still determined and in the aero position. My aim being to see how many riders I could pick off and to fight off the Broom wagon. The puncture had only occurred halfway through the 50 mile race. It was gonna be a long solo chase lap by lap, it ticked by as I picked off a couple of riders per lap. It was clear I was gonna get pulled from the race, but how long could I last and where could I make my way up to? 19th. Incredibly frustrated a short and wet ride back to the hostel left me dwelling on the day’s race. What had I done wrong? Why did it go so badly? I had to think twice. Why was I so frustrated and annoyed with myself? It wasn’t my legs, it was bad luck. I had to get my head back in the zone. A shower, protein shake and (not my favourite) but an all right Chilli con Carne and large plate of pasta. I was ready to fight Sunday! After a good nights sleep, Sunday rolled on. A visit to Ypres and to that good old Frite Shop. I had Bolognese not frites, don’t worry. We arrived at the race with plenty of time to spare, so it was sign on, numbers on and kit on. We were out on the course reccing. The course had a nasty block headwind from the finish, heading up a 4% drag before hanging a left down a narrow technical descent, before taking another left onto a road with a nasty cross wind, then left back on the main road, up a hill, then a swooping left back into the headwind and to the finish line. The pro race Dwaes door West-Vlaanderen went passed and once the convoy had cleared, we were off, 11 laps to go, no one was committing into the headwind and I made sure I was in the front when we hit the left hander, the bunch was strung out down the descent with a couple of us pressing on and carrying it on. We shortly hit the S bend and seeing the bunch had split up a bit and was carrying a bit of speed, I hit an attack around the front few riders. No one was prepared to chase and I opened up a pretty decent gap when I hit the main road. I pressed on up the climb. I was fired up and felt good, I kept a good tempo with the aim being to stay out front for another one or two laps picking up the 20 Euro prime. 3 laps had gone by and I still had a decent gap. A bunch of six, I could see, started working well to pull me back, but I just stayed locked in my tempo expecting to be caught with 5 to go. By now I had picked up 100 Euros, so was pretty happy. But I just had in my head, go on hold off the break, go for one more. The group was getting closer and closer, I thought the catch was going to be made but I kept drilling. They were so close within 150 metres of me. It was 2 ½ laps to go. I told myself commit, you’ve got this, however the gap only grew by around 5 seconds for the next lap. I was digging deep in the pain cave to the point I threw up a bit in my mouth. 1 ½ laps to go. This is where the race is won or lost; I gave everything up the climb and the bell sounded. 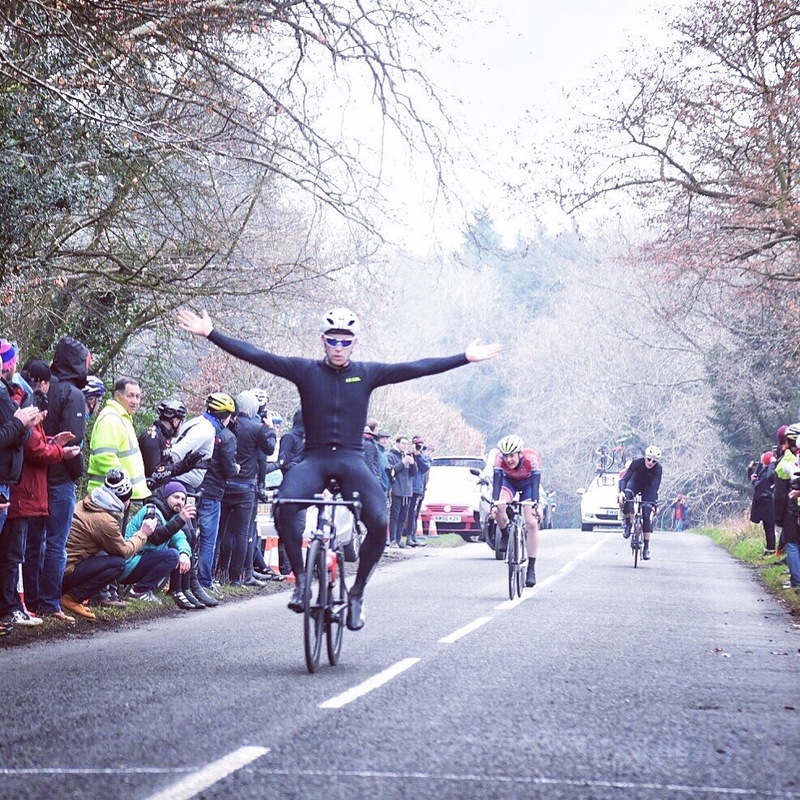 I saw the left hander at the top of the road as my finish line; I dug as deep as I could to get there, took the left hander and got in the aero tuck down the descent. I emptied everything left until the top of the climb to give a look over my shoulder. I couldn’t see the group, the gap was good. It gave me enough time to take the final lefthander with care, unzip my gilet and make my love heart celebration in memory of my Grandma. What a race, I was over the moon to win. 250 Euros in the back pocket and a bunch of flowers big enough to split between my mum and girlfriend. That win was for you Grandma!!! Many thanks go out to John Barclay, Kris and Dave Storey for taking me and for all the help. Pedal Potential for the continued support, Boardman Bikes for an absolute monster of a machine. Specialized UK for the freshest kicks going. Galibier for all their top clothing and accessories. But biggest thanks to my amazing parents. I went out for an easy spin around my local lanes, to check all my equipment was running smoothly. When I got home gave my Boardman a final clean and began to sort out my race kit. I always use my checklist which I’ve used for two seasons and it’s never let me down. With everything packed, I headed for an early night (two nights before race day is the most important time to get a lot of sleep). Up at 8am, the car was packed and me and my mum were out of the house by 9am to meet John Barclay and the team at 10. The old South East Merc was loaded up with the bikes on the roof and off we headed for Belgium. Once we arrived, we had lunch and got out on the bikes soon after to recce the race finishing circuit. 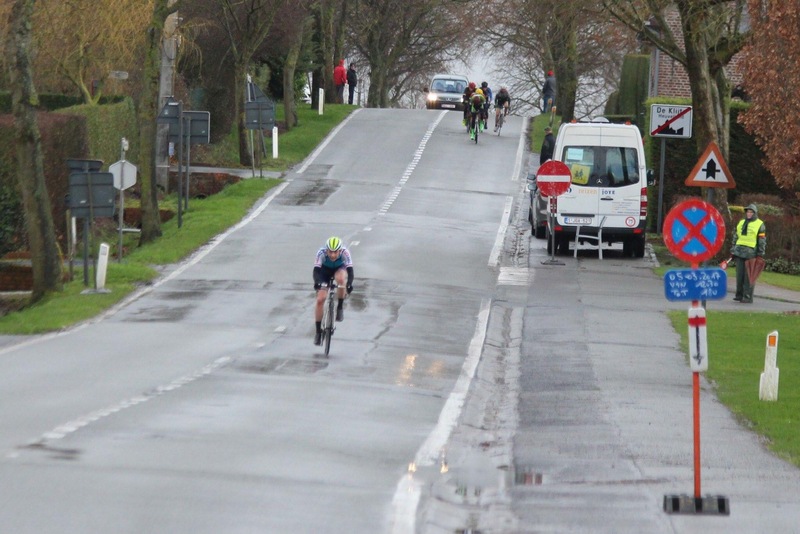 It wasn’t too technical and was pan-flat, however there was some nasty crosswinds which I knew would play a big part in the final few kilometres. I followed my usual pre-race activation, doing a few 15 second sprints with the rest of the team. After completing two laps and going slightly off course, the sun was starting to set and it was a relief to get back to the hostel. For dinner we went in to Kortrijk and I chose spaghetti bolognaise as I normally try to have pasta the day before a race. Then we returned to the hostel for final race preparations, such as sorting out my kit, giving the race manual a once over and writing when the major climbs came to stick on my stem. We woke up at 7:30am to freshen up and head down for breakfast for 8am. I had my favourite of Weetabix (4 and one for luck) topped with cornflakes, then followed with a fresh glass of orange juice and some toast (wholemeal of course). We had a short drive to the race HQ where John and Dave went to collect our numbers and Ian set up our bikes. Off to the changing rooms, numbers pinned and skin suit on, I was in the zone to race. We rolled down together to the start to guarantee ourselves prime spots on the start line. The pro race went past with 10 minutes until the start, we followed the neutral car out and the flag dropped shortly after. Race on. 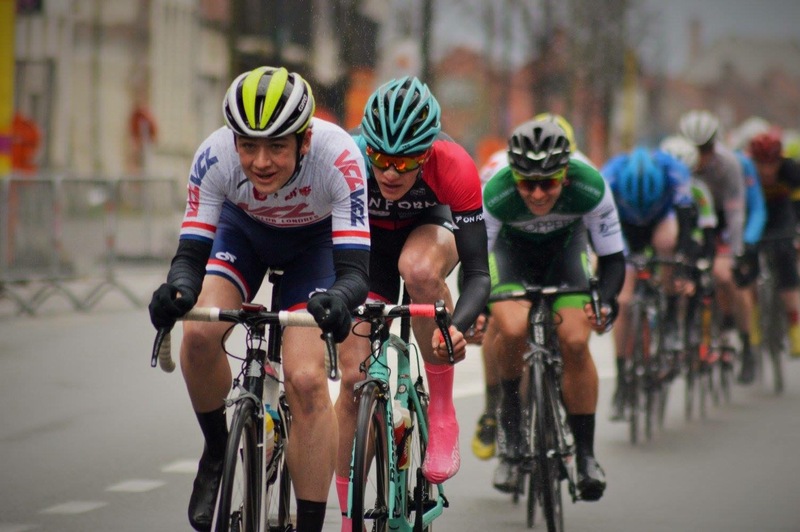 My tactic was to keep towards the head of the race especially for the climbs and cobbled sections. Even if this did mean having to use up some energy early on, it meant I was guaranteed avoiding trouble at the rear of the race. 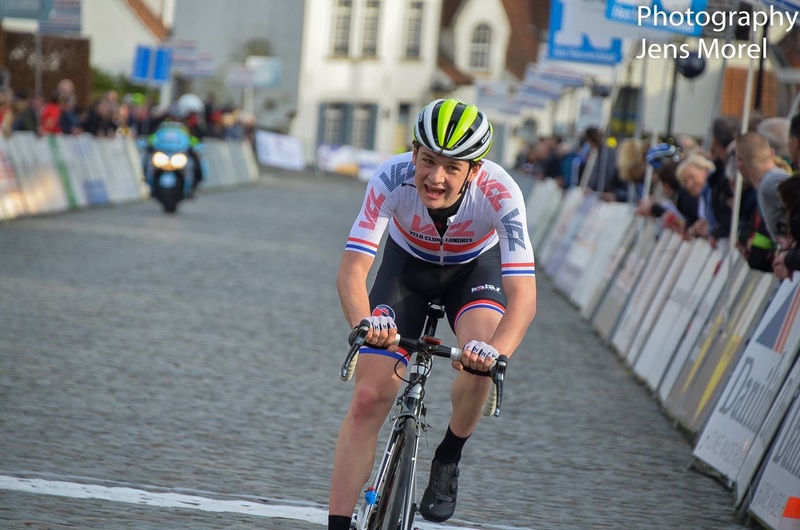 I felt strong for the first two climbs and at the top of the Kanarieberg I had a dig off the front with the French national champion and a Dutch rider. However, we were reeled in after about 3km and I got back in the bunch to recover. 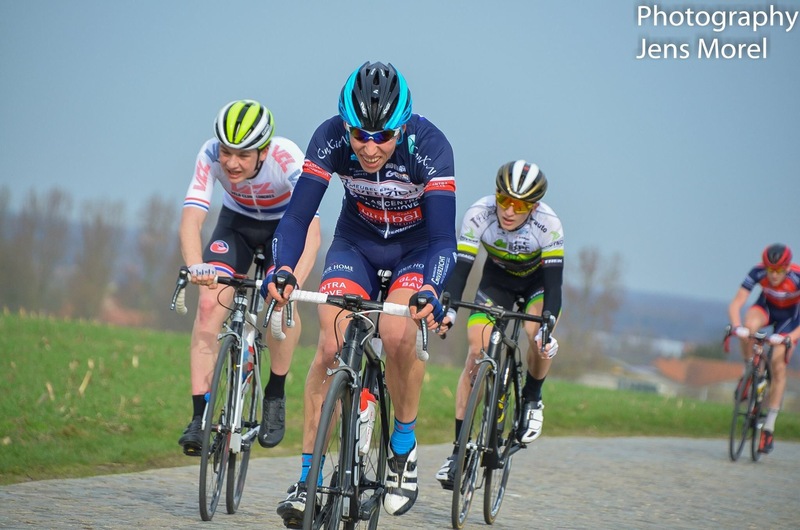 A fairly steady tempo was set up the Hotond with 10km to go until Kwaremont. 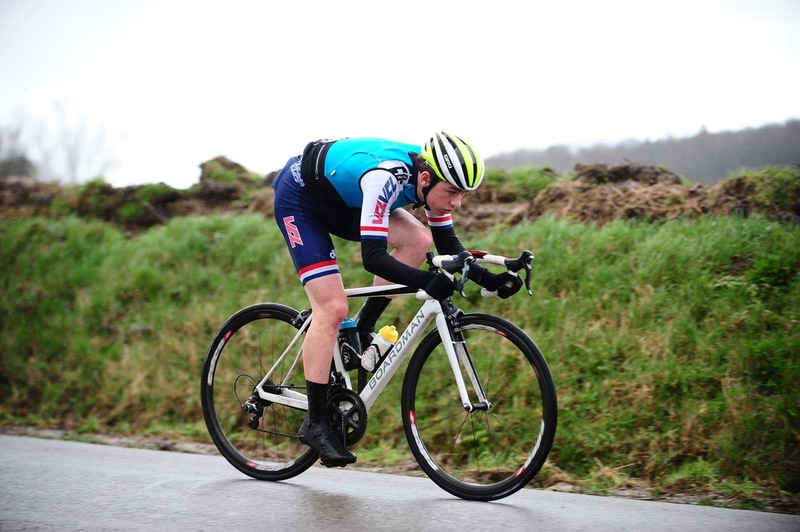 There was lots of fighting for the head of the race and a big crash 2km from Kwaremont, I just avoided it by locking up my wheel and swerving around it. 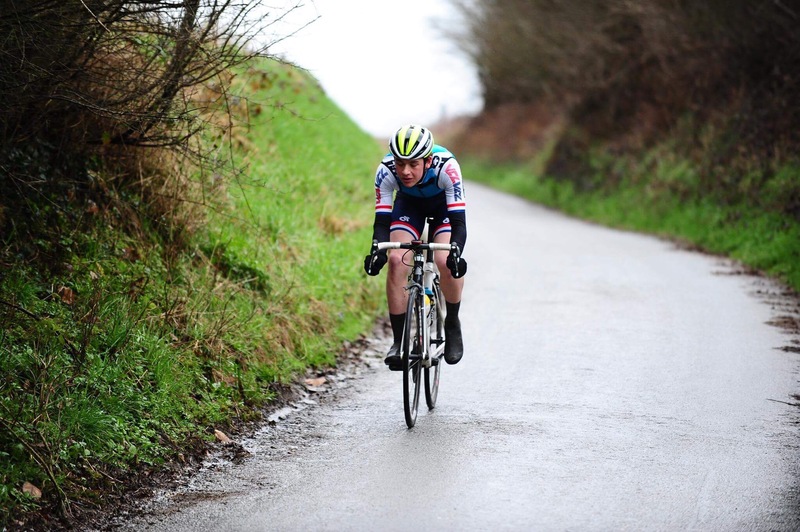 We hit the cobbled climb, I’d lost some positions which made the climb more difficult while I tried to make up places. I reached the top, managing to latch on to the back of the front group. 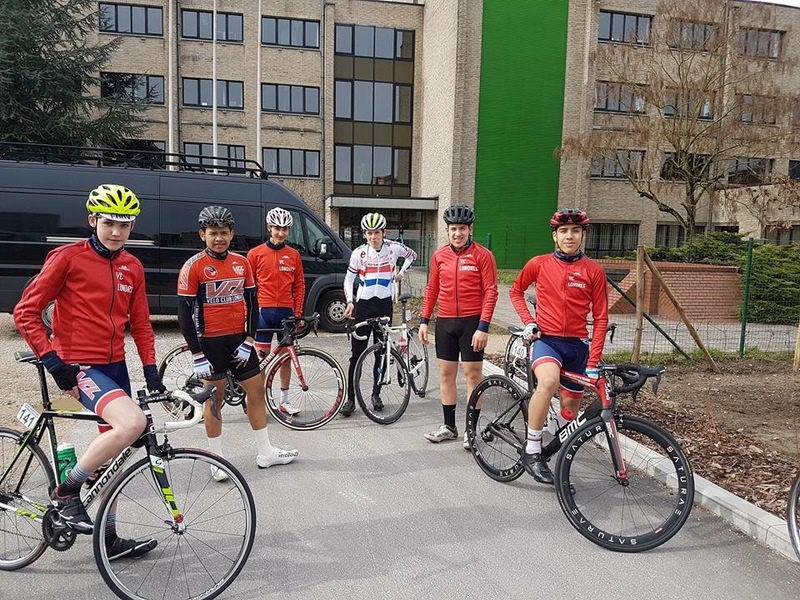 However, the bunch shortly came back together with around 40 riders. There was a couple of breaks but no one could make it stick. After the Knokereberg (the final climb) when we hit the main road I saw an opportunity to attack at 30km out. 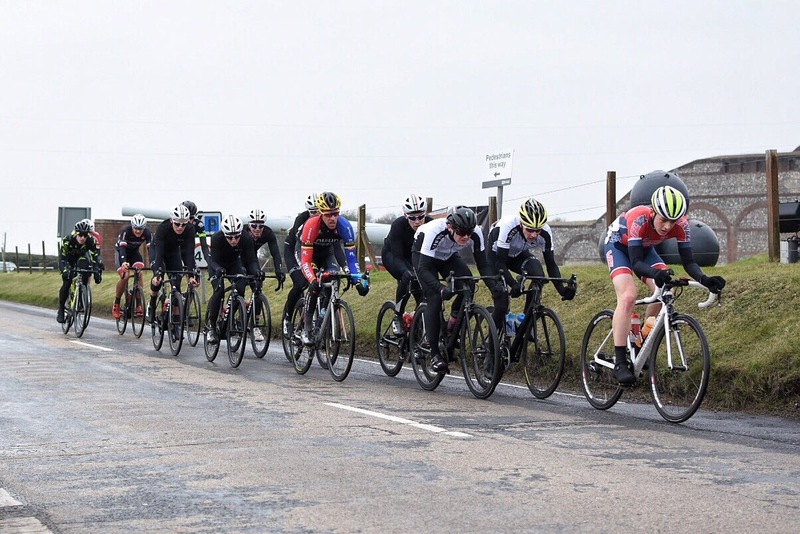 There was 4 of us battling the crosswinds, but the bunch was keen not to let the break gain too much advantage and we were reeled in after 8km out front. We shortly hit the finishing circuit and there were a few attacks but they were shut down until 10km to go, when 5 riders got clear. They gained a fair margin and then another 6 managed to jump clear of the bunch and try to bridge. I was a bit hesitant to try and get across to them, at 2km to go I made sure I was near the head of the peloton. We took the final left hander with 700m to go. I latched on to the back of the Acrog lead-out train and came out of the slipstream with 250m to go. 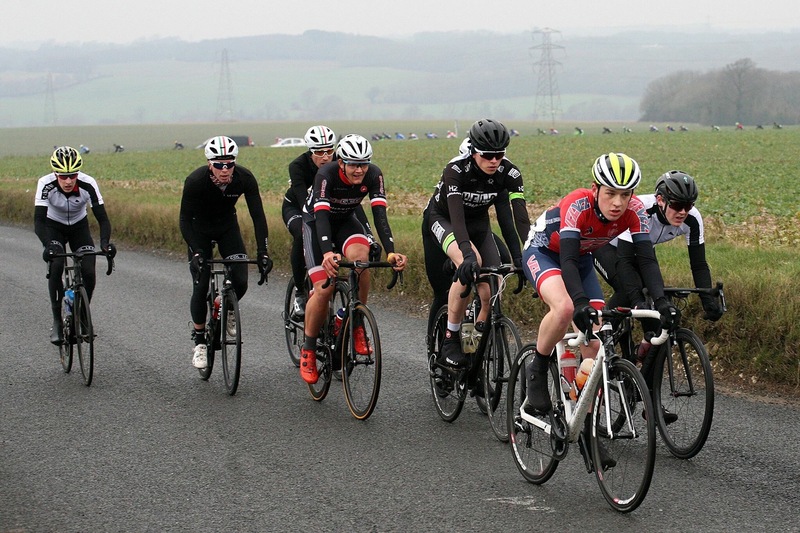 Looking back, it may have been too early as I was rolled and ended up 2nd in the bunch sprint, 13th overall. 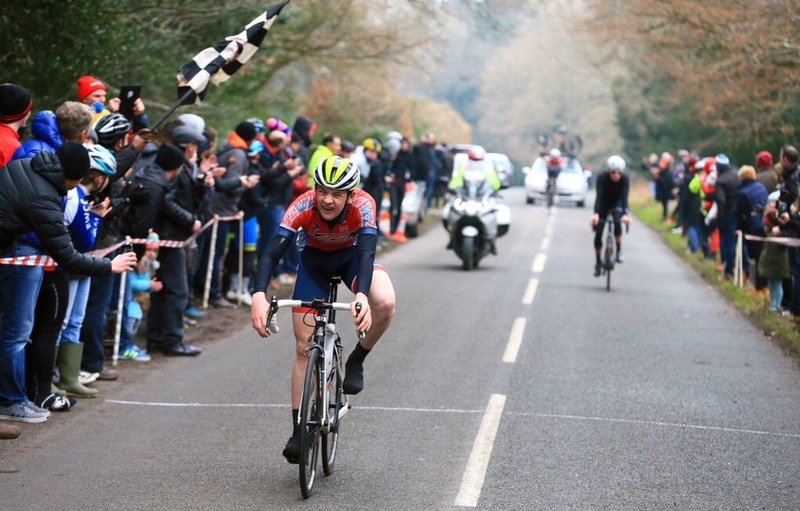 I was fairly happy with how I rode the race and felt strong. However, I was a bit disappointed that I didn’t make the final break. I am really grateful to John Barclay for giving me the opportunity to ride, and would also like to thank all my sponsors. I wish a speedy recovery my training partners Georg and Fred, and all the other riders who came down in nasty crashes during the race. Roll on Belgium again next weekend! 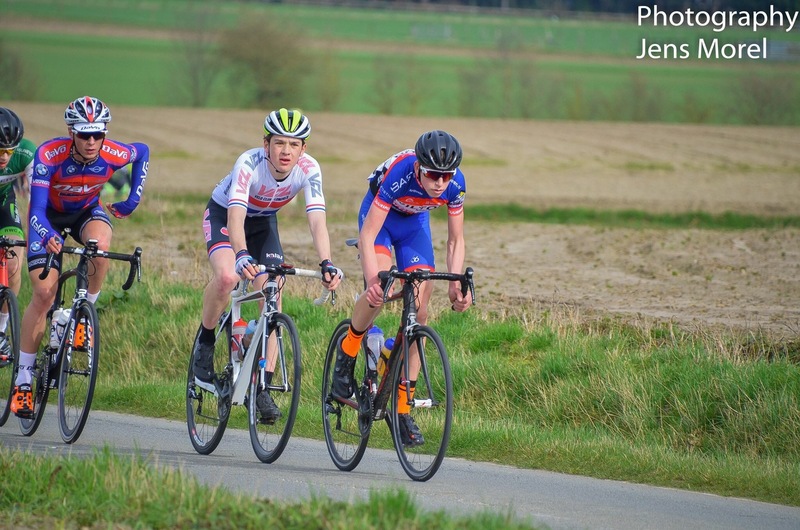 My first big road race of the season came in the form of Perfs Pedal 2017. 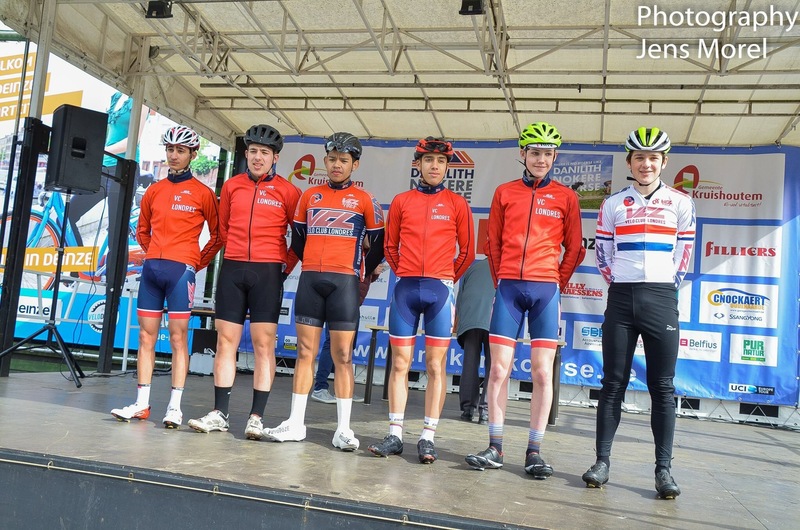 Whilst excited to race in a National B event against some big names, I wasn’t expecting the result I finished with. 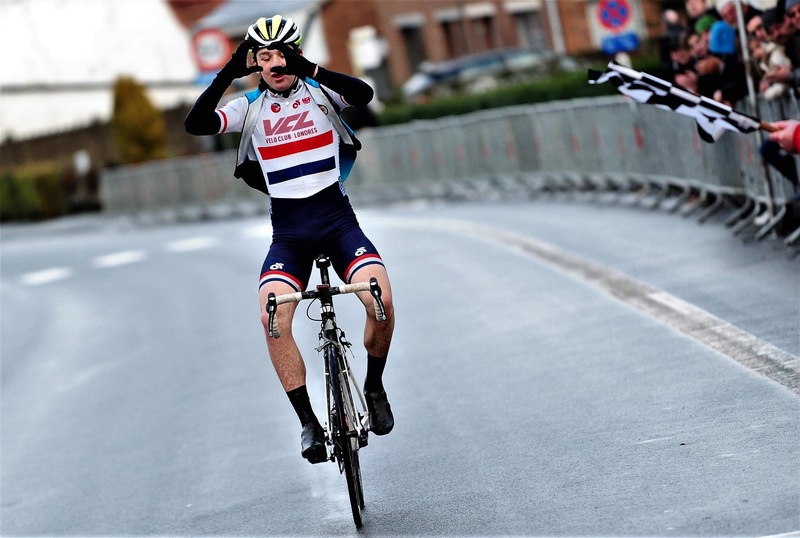 Having been at the British Cycling Awards Dinner in Birmingham the night before, I probably didn’t have the best race prep with a lot of travelling and a late night. However, I looked forward to racing the next day. However, the majority of the break kept coming back together. Once we hit the main road, Chris Opie (Bike Channel) and Billyard put the pressure on and I knew this was the move to be in. Rory Townsend came with another strong attack around the outside and I worked hard to follow it and bridge across to them. As Rob Partridge (Bike Channel) came across, there were 5 of us working well together until we hit the wind for the final time. Attacks came quickly, where once again Opie and Billyard got a gap. Bike Channel played me well as I was forced to put in a dig to get over to them, pulling Townsend with me. Once we hit the roundabout with 12 kilometres to go, Rory hit us with an attack on the descent, opening up a good gap. The other three of us began to look at each other until Jack decided to take up the chase, I followed with Opie on my wheel. Although I was fairly apprehensive to chase, I knew if I wanted a shot at the win I would have to work for it. Jack and I began to work well together and slowly wheeled in Townsend, Opie close behind. With 5 kilometres to go we had finally brought him back, the finish was close as we hit the final Lady Miles circuit. I chucked my bottle to the side and the gloves came off. There was some cat and mouse until we hit the base of the final climb. 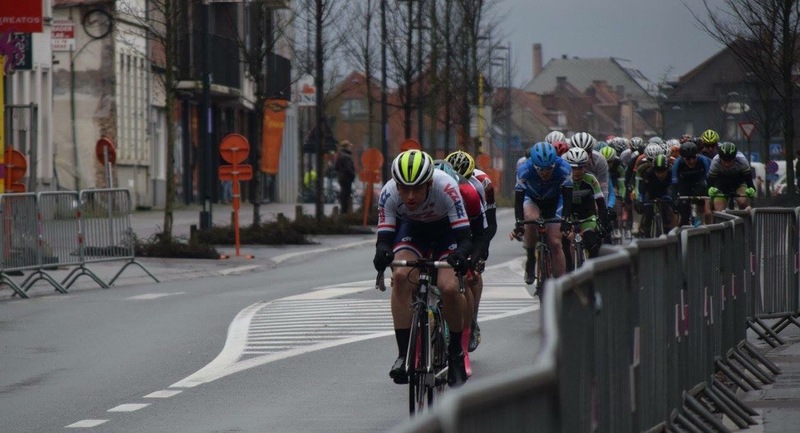 It was 1 kilometre to go and the first 500 metres started fairly steady, however an attack from Billyard opened up the sprint. Townsend was quick to chase, with Opie on his team mate’s wheel. Opie kicked hard and I couldn’t quite match it, but was happy to finish second place. A very happy and successful start to the season, I’ve been overwhelmed with the support and reaction I received. Many thanks to Pedal Potential, Boardman Bikes, Specialized UK, Galibier, VC Londres and my parents. 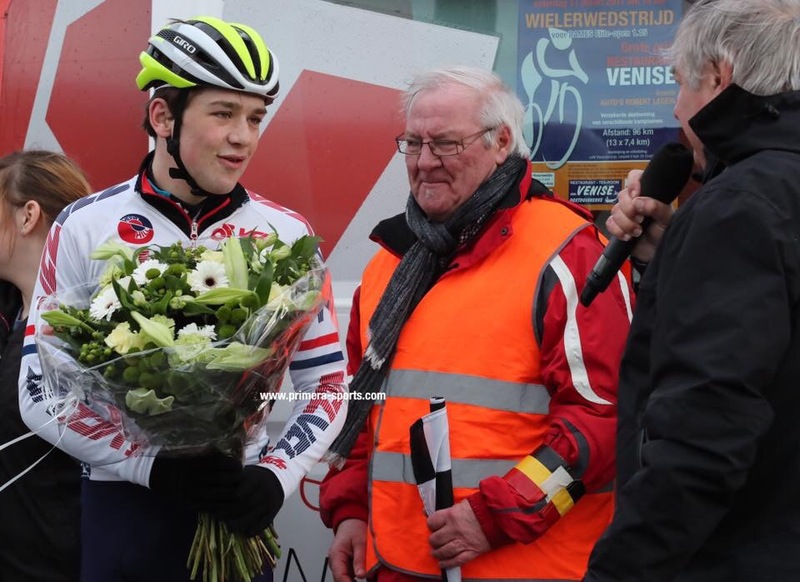 Roll on KBK!